It is a common situation: Two families take a ski trip together. The problem is that of the eight people on the trip, six love to ski, and two don’t. What to do, and where to go? There are some ski resorts that are “all about the skiing”, and others that are kinder and friendlier for the non-skiers. Those towns that are great for non-skiers are worth noting, because the last thing you want is for most of your party to be out on the slopes, while the others sit in a condo staring at their phones or watching TV. A ski vacation should fun for everyone involved, skiers or not. Here are a few towns that we think are great for non-skiers and skiers alike. Park City really has it all. For the skiers, it is just minutes away from three great resorts — Park City, the Canyons, and Deer Valley. 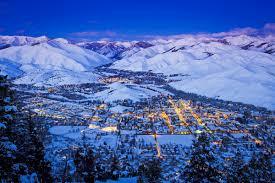 Note that Park City and the Canyons are technically joined as part of Vail Resorts, but began as separate resorts. We think they still have a different feel to the two sides. Deer Valley is the Ritz Carlton of ski areas, with excellent service, crowd control, and some of the best snowmaking in the world. For the non-skiers, you will get a great downtown area in Park City’s Old Town. It includes all of blocks of shops, restaurants, and flagship stores for nationwide brands like Patagonia and LL Bean. The base areas of Deer Valley include some excellent restaurants and spas, and because Park City is an actual working town, you get everything you would expect in a community. The best part about Park City, in our mind, is that it is all only 40-45 minutes from the major Salt Lake City airport, making it one of the easiest A-List destinations to get to from just about anyway. If you want a great ski experience just over the border, Whistler is the place to go. There are some other great ski areas in Canada, including Revelstoke, Silver Star, and to the east Tremblant, but Whistler is the place where skiers and non-skiers alike can enjoy a great vacation together. As ski areas go, Whistler is big — over 8,000 feet of skiable terrain, making it one of the largest in North America (depending on how you measure). The terrain is varied and anyone will find the skiing they are looking for. It is common for a family ski trip to Whistler to become a highlight of ski vacations. For the non-skiers, Whistler has a couple advantages. First, there is enough history and commerce at the Whistler base that you can find plenty to do without being an avid skier or snowboarder. Second, and something that is often underrated, Whistler’s base is at 5,000 feet. For people who aren’t sure how they will do in the altitude, or don’t spend much time in the mountains, it is very likely that the altitude sickness will be far less than it would be at places like Utah or Colorado where you may be going to sleep at 7,200 feet (or higher) every night. A very important point about Whistler — there are really two “villages”. Creekside is the original village, preferred by many skiers because of the direct proximity to the lifts and slopes. Whistler Village is the “new” village, larger and with more amenities. Both offer direct access to skiing, but if you want to be in a place where the non-skiers can easily explore the area, we would recommend you opt for Whistler Village. The first of two Colorado ski areas that made our list is Aspen. When skiing Colorado, we like to get away from the popular I-70 corridor which can often result in heavy traffic from Denver, especially on Fridays and Saturdays. Aspen is about 3 ½ hours from Denver, and most people doing a day trip will prefer to stop nearly two hours sooner at a place like Breckenridge or Copper. The glitz factor is alive and well in Aspen, which is part of what makes it such a fun town to visit. The shops are upscale, the restaurants are outstanding, and the people-watching can be first-rate too. An old silver mining town, Aspen is about 140 years old, making it an “authentic” mountain town unlike others that were really built-for-purpose around a ski resort. 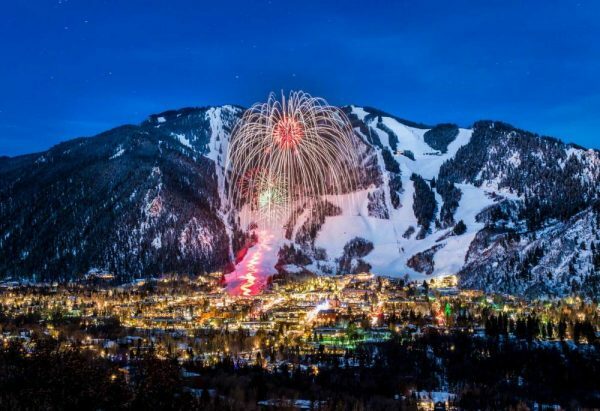 With about 80 restaurants and bars, over 200 shops, and plenty of lodging choices, Aspen is no doubt a great destination for someone who isn’t drawn to the the slopes. That is not to say there is anything wrong with the skiing, though. Skiing Aspen’s four mountains (Aspen, Highlands, Snowmass, and Buttermilk) is a great experience, as each mountain is connected to the others via runs and lifts, but each has its own characters Separated by ridges, the differences in snow and sun can be just enough to assure you will find the skiing you want once you get to know the mountain. Aspen is an easy 30 minute flight from Denver, and the Aspen airport is just 3 miles from town. Driving from Denver takes just under four hours. We fell in love with Steamboat Springs the first time we saw it. A quaint mountain town with a “real” main street, plenty of small-town energy outside of the ski area, and quite a great playground for the outdoors, Steamboat is a great destination for anyone who is bringing a group with a mix of interests. 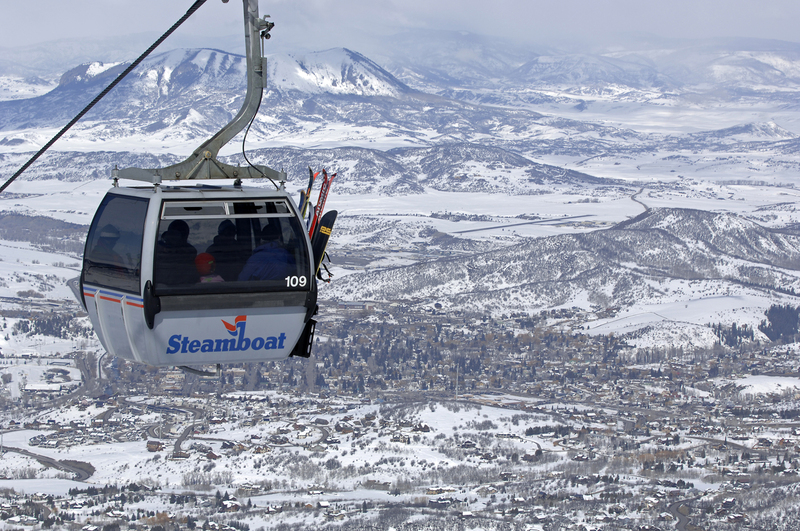 We like Steamboat for many of the reasons we like Aspen. It is far enough from I-70 so most of the Denver day-trippers will have stopped off long before they get to town. It is also a genuinely old town, having been incorporated in 1900 with residents living in the community since the mid-1800s. Because it was a town first and a ski-town second, you can feel a real community vibe in Steamboat. For non-skiers, finding a fat-tire bike and hitting the trails can be a great way to start exploring, if you are there during a milder part of winter. The hiking is varied and excellent, and downtown Steamboat has lots to offer. You can hit a fitness class, check-out some incredible art shops, stock up on our outdoor clothing, or scope out some top-notch restaurants for the evening dinner. 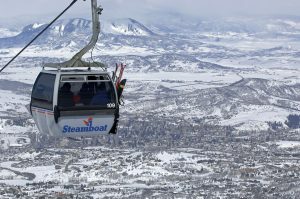 Staying in Steamboat really comes down to a key choice: Do you want to be near the slopes, which will mean a short 5-minute bus ride to downtown, or do you want to stay downtown which makes the short bus ride the one to the slopes. Either works, as Steamboat’s free city bus service runs frequently and reliably. It is one of the better mountain town public transit systems we have used. The Hayden airport is about 30 minutes from downtown Steamboat. Allow 3 ½ – 4 hours if you are driving from Denver. Sun Valley deserves the final spot on our list, because the towns identity is so closely tied to the many winter (and summer) activities that have built up around it over time. Founded as a town in the 1930s, it is perhaps the only one on this list that was a built-for-purpose ski resort. However, that happened nearly a century ago, and in that time the town has settled in nicely to being a great four-season destination for skiers and non skiers alike. Within a short drive of the slopes, you can find world-class Nordic skiing at the Galena Lodge, backcountry trekking and snowmobiling, and fly-fishing (if you are there in the right time of year). Galena Lodge is worth a special mention, as it is a community-owned day lodge about 20 miles from Sun Valley, offering the ability to explore the Rockies through various activities without being bound to the slopes or a lift ticket. 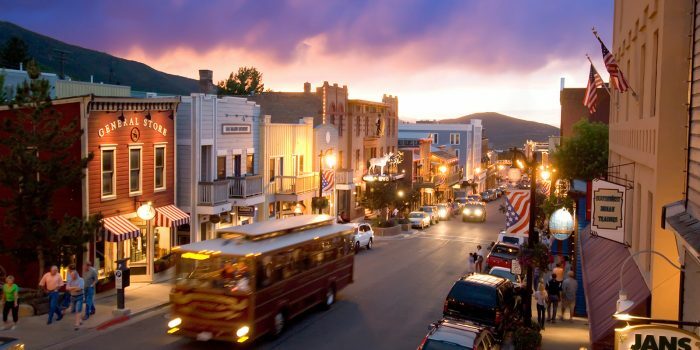 Downtown Sun Valley gives you everything from great restaurants, bars, and shops ranging from antiques to home furnishings to food markets. In Sun Valley, you won’t want to miss the historic Sun Valley Lodge, a staple of town for decades and the places where the golden-era stars would come to ski and socialize. The skating rink outside of the lodge is picturesque and a great way to get some fresh air. Getting to Sun Valley is easiest done by flying into nearby Hailey (Ketchum / Friedman airport), which has daily service from places like Salt Lake City, Seattle, and Los Angeles among others.